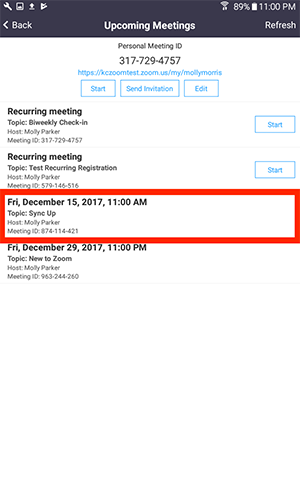 You can find the invitation for a scheduled in the Zoom desktop client, Zoom mobile app, or on the web. You can copy the invitation and send it out to your attendees. You can share it anywhere that text can be pasted, but the most common methods to share the full invitation are via email or by adding it to a calendar invitation. 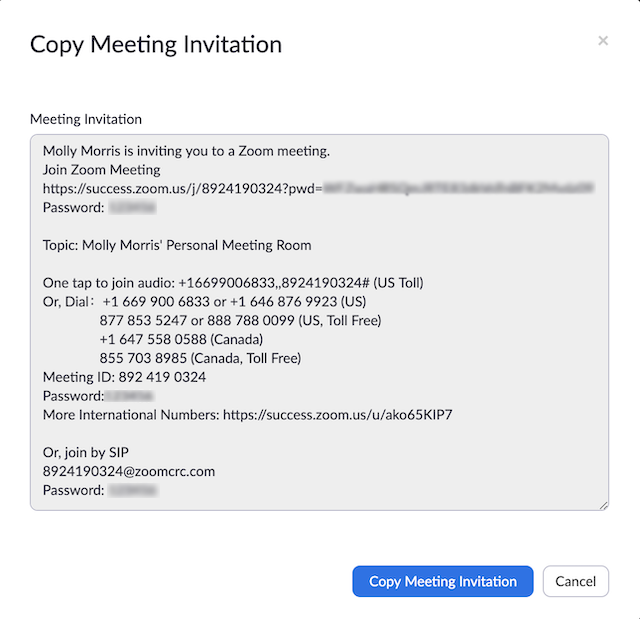 To see all options on how to invite attendees, see How Do I Invite Others to Join a Meeting? Open the Zoom client and sign in to Zoom. 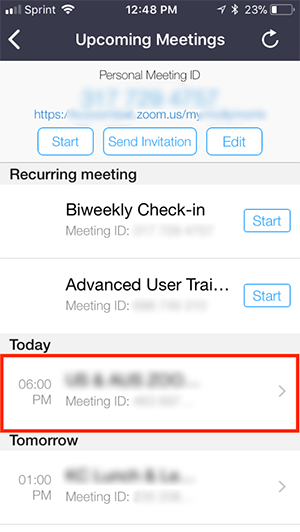 In the Upcoming tab, select the meeting that you need the invitation for. The meeting invitation will now be copied to your clipboard. Open the Zoom client and sign into Zoom. Hover over the meeting that you need the invitation for. The meeting invitation will now be copied to your clipboard. You can paste (ctrl-v) it where you would like to share it. Log in to the Zoom web portal and go to My Meetings. Click the topic of the meeting you need to copy the invitation for. This will open the invitation in a window. Click Select All to select the text. Copy the text using the keyboard shortcuts or by right-clicking and choosing copy. You can now paste the text where you would like to share it. Open the Zoom app and sign into Zoom. 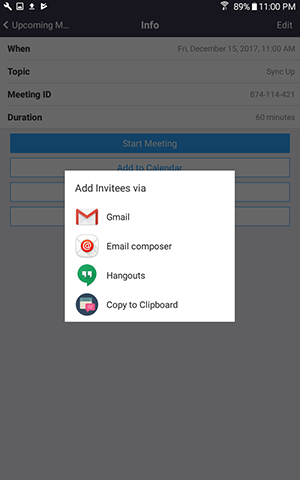 Tap the meeting that you want to copy the invitation for. 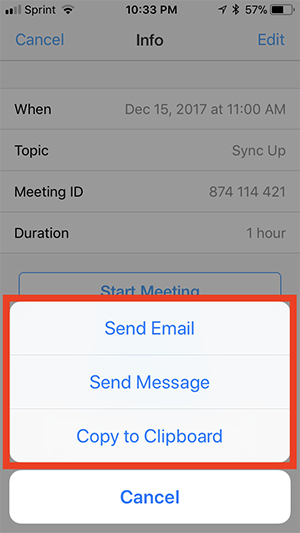 Choose if you want to send it as an email, send it as a text message, or copy it to your clipboard so that you can then paste it into any app. Choose if you want to send it as an email or copy it to your clipboard so that you can then paste it into any app.